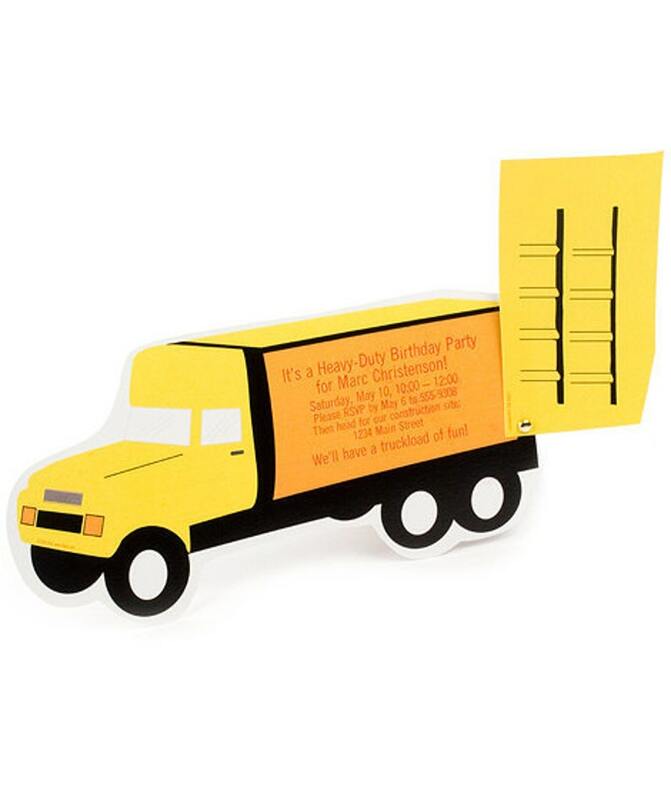 Put kids to work building these interactive invitations that "dump" out the party details! Big rig Name Card and photo Thank You cards finish off the set -- perfect for a construction-themed party. Comes with software to easily print on the invitation, if you like. This is a printable PDF that makes invites, thank you cards, and name tags. The process allows you to use your computer to print your own party details onto the invitation. You provide the paper, envelopes, and brads for fastening the invitation. Great project to make with kids! Bonus: Good Manners Guide teaches kids basic birthday etiquette (like how to write the perfect thank you note)!